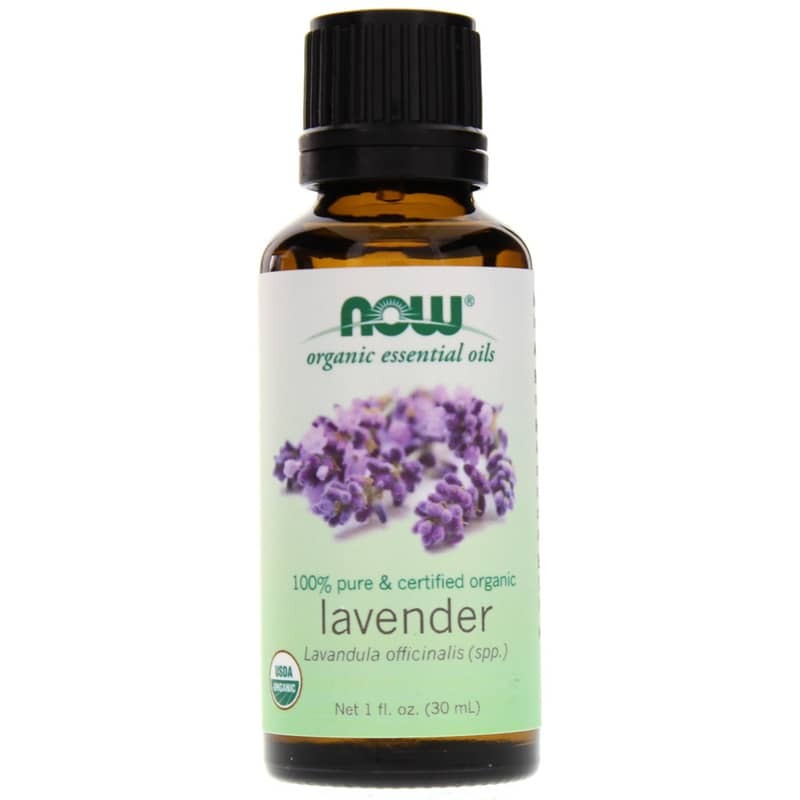 Lavender organic essential oil from Now Foods is a soothing, normalizing and balancing aromatherapy oil. To help ease a headache, simply add three drops each of organic lavender oil, organic peppermint oil and chamomile oil to a diffuser and enjoy. Lavender oil seems to help relax muscles and provide an overall calming effect, which is why it is extremely popular in aromatherapy. It may also improve sleep quality and promote relaxation in people with sleeping disorders, such as insomnia, by slowing down the nervous system and elevating mood. Lavender oil is also is commonly used as a fragrance in soaps and cosmetics because of its possible benefits for the skin, due to antiseptic and antifungal properties. And it may also work as a natural insect repellant. Before it is used for any purpose other than aromatherapy, however, Lavender organic essential oil from Now Foods should be carefully diluted using a carrier oil, such as jojoba, grapeseed, olive, or almond. Add 3 drops each of organic lavender oil, organic peppermint oil and chamomile oil to a diffuser and enjoy. Keep out of the reach of children. Avoid contact with eyes. If you are pregnant or nursing, please consult your healthcare professional before using this product. Not for internal use. 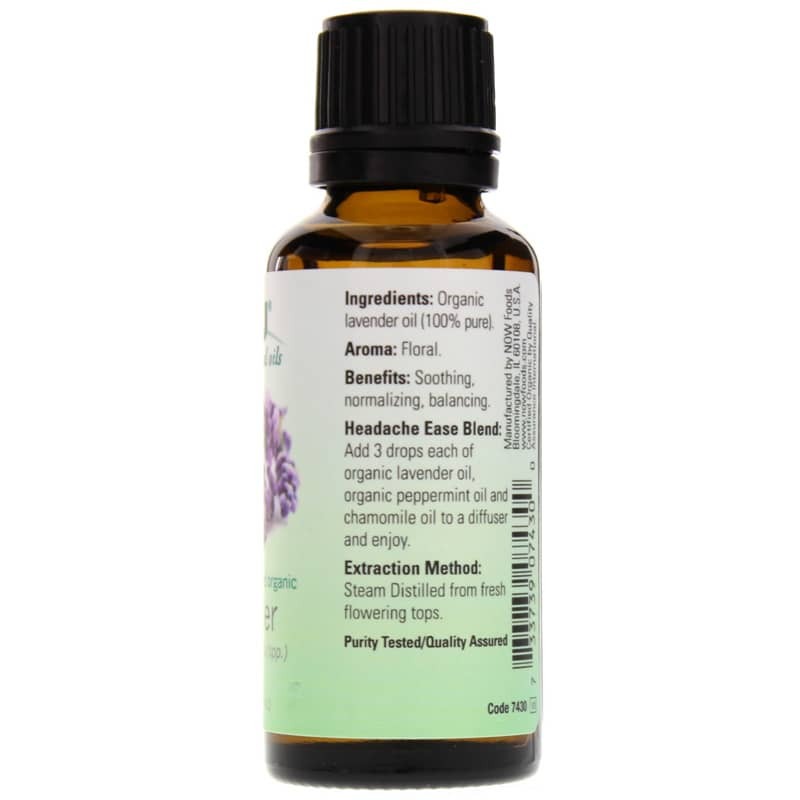 Lavender Oil 100% Pure Certified Organic is a wonderful product! Has all sorts of uses. I mix with extra virgin coconut oil and apply to insect bites and use to repel the little critters. I like that I can get a quality oil at a good price. This product is great! I use it every night in my diffuser. I would recommend this product.